Analog offline switcher, DIP8, TNY275PN, 700V, 19Omh, 560mA An integrated circuit analog switch, DIP8, TNY275PN, 700 V, 19 Omh, 560 mA. List Price: 24.00лв. VAT Incl. Integrated circuit TNY276PN Integrated circuit TNY276PN, analog switch. List Price: 10.30лв. VAT Incl. List Price: 0.55лв. VAT Incl. List Price: 10.00лв. VAT Incl. List Price: 6.90лв. VAT Incl. 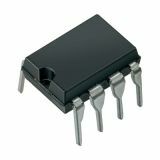 Vikiwat Ltd. offers a variety of logic integrated circuits, memories, timers, sockets for ICs, operational amplifiers, stabilizers and voltage regulators, output stage, hybrid integrated circuits.